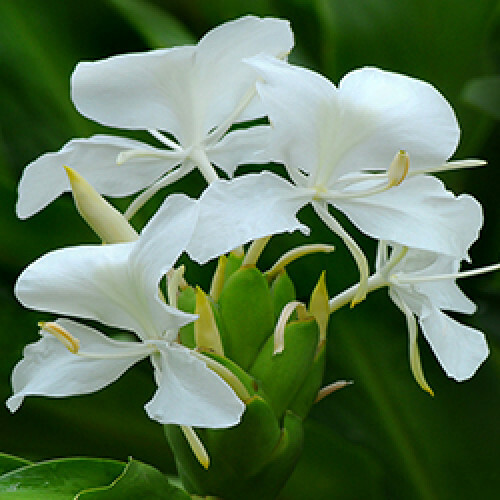 It is an solvent extracted flower absolute oil, please don't be confuse by it as Ginger Essential Oil extracted from roots. A clear brown liquid with a warm, woody, spicy, light floral aroma. A 3 foot high plant with very large leaves and white, orchid-like flowers.